Ultimate Three Card Monte Bill’s comical presentation of the Michael Skinner Classic! A great way to open your close-up show! Sam the Bellhop Bill’s signature effect as seen on TV’s World’s Greatest Magic, explained with all the moves and timing in complete detail. I Don’t Even Have a Pocket An Ambitious Card routine with a hilarious ending. I Should Have Done It Myself Guaranteed reaction every time with this seldom seen idea! If it’s good enough for Fred Kaps, it’s good enough for you! Cheating in Las Vegas with the Aces A display of card control Bill has been performing for over 20 years. Back the Way They Were Commmercial thoughts on presentation for Dr. Daley’s Last Trick. This classic should be in every professional’s close-up bag! Test of Strength The Slydini Silks is truly one of magic great secrets. 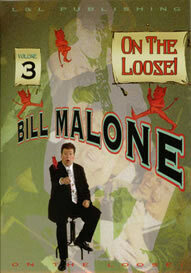 See Bill Malone’s performance and hear him explain this classic of magic! 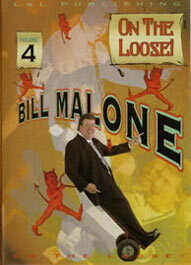 Counterfeit Money Bill’s stand-up version of Bill in Lemon. You will love this one! Cut ’Em High and Tie Using the element of surprise, Bill takes a Spectator Cuts the Aces routine to a whole new level! Think Touch Turn This presentation of a Marlo classic first appeared in Bill’s out-of-print, hard-to-find lecture notes. Matrix Presentation An example of how to turn a great trick into an entertaining routine of amazement and fun! End of Story A killer ending for Brother John Hamman’s Gemini Twins. Mr. Hamman told Bill it was the magic ingredient! Direct from the Factory Inspired by Michael Skinner, this version of the Mental Photography Cards is Bill’s favorite! The Kings Produce An easy-to-do Ace production using a combination of Marlo ideas. 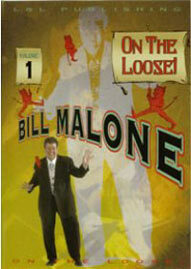 Maxi-Twist Mr. Roger Smith’s unbelievable classic of magic with Bill’s presentation! Apex Aces 2002 An important touch on the original Apex Aces plus visual reappearance! Name Any Number and You Can Do It Too! Two card classics come together with Bill’s magical blend of Paul Cummins’ masterpiece, Count On It, and David Solomon’s ingenious Cutting Tens! Bill’s Cards Across As seen on ABC’s Champions of Magic! 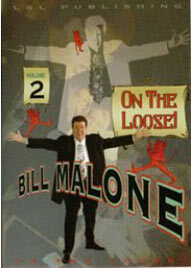 Your audience will love this fun routine which Bill uses all the time for stand-up and close-up. Standing Ovation Invisible Deck Bill’s wonderful presentation for the Invisible Deck, which builds and builds into a guaranteed standing ovation!